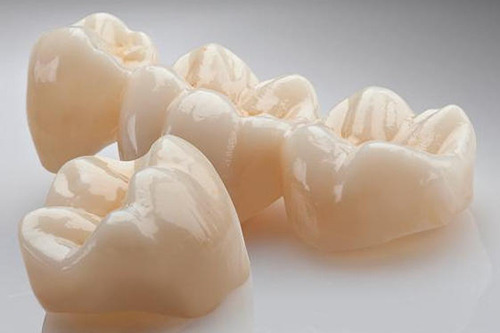 With the help of our talented team of professionals, we have been able to provide an extensive range of Zirconia Sagemax Crowns within the given time frame. Founded in the year 1999, at Nagpur (Maharashtra, India) we, Aesthetic Dental Lab are noticeable manufacturer of a first-class assortment of superior quality of Full Mouth Implant Bar, Zirconia Crowns, MLS Crown, Implant Supported Denture, Splint Crown, Pure Gold Crown, Crown and Bridge and many more. Our firm running our operations in this field in tune with success. With our wide assortment of products and huge industry knowledge, we have carved out a niche in the industry with vast customer base. Welcome to Aesthetic Dental Lab! Thank you for visiting our website. Aesthetic Dental Lab is branch of ESTHE-DENT, Ontario, Canada. Its well known and reliable name in field of dental at Canada. We have been providing quality laboratory service to dentists throughout the country for years. Our experienced technicians focus on quality of work and precision of the result. We understand that satisfied patients are the best referral sources for your practice that is why our focus is on completing our work in such a precise manner to prevent re-dos as much as possible.